That Christmas is widely regarded by most people as a time of stress is by now a matter of cliché, as seen by cynics like me at least. Mental stress from rushing around trying to cram in shopping for presents and food, writing cards, wrapping gifts. Stress on the wallet or bank balance. Physical stress from overindulging in food and drink. For many families, emotional stress from being cooped up with people they had to invite, for others coping with loneliness. A good bit of what little Christmas-preparation stress I am subject to is now behind me. I’ve bought, written and posted my Christmas cards. I’ve bought all except one of the very limited number of presents I will be giving without blitzing my current account (cheapskate that I am). A slight though very timely frost has sweetened up the sprouts and parsnips in the garden ready for Christmas dinner. Things looking good. For many years I made a number of Christmas cards for family and close friends but with so much more to do now I’m on my own I had to give that up 2 years ago. 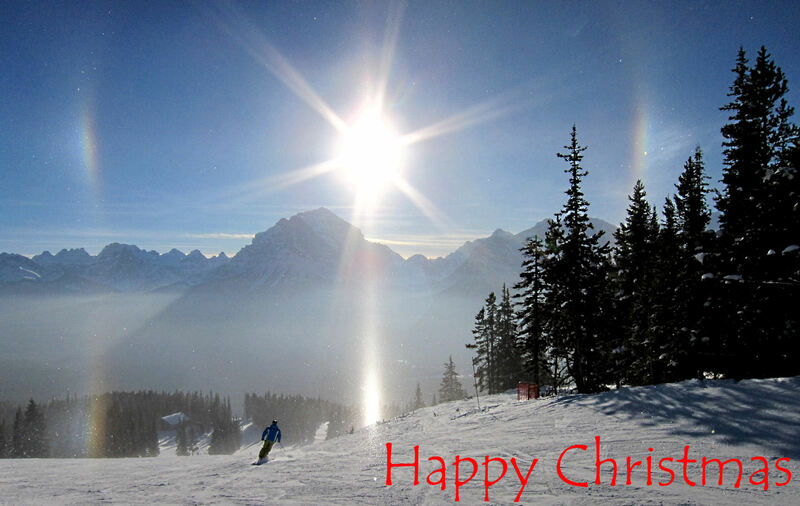 Nevertheless, this year I’ve prepared a Christmas Blog Card – so Happy Christmas to all blog-readers. However, there are often other stresses not related to the preparations for Christmas but coming at the same time. The rest of life doesn’t stop just because it’s the so called ‘Season of Goodwill’. After the very unpleasant week when my boiler was out of action and my cowardly retreat to the warmth of the North of England, it was finally repaired last Tuesday and at the moment seems to be working fine. I’m now warm again and, to the relief of those with whom I come into olfactory range, I can have a bath. Long absences in Greece, Canada and exotic Stockport have meant that maintenance and decorating of the house have been neglected for the last two years. So having taken giant strides towards my very limited preparations for Christmas I got to grips with it and stripped, repaired and painted the stairwell down to the basement room. It’s very nearly finished and I was beginning to feel quite satisfied and maybe a little smug. I was getting on top of things. Stress free a week before Christmas. But then we had pretty violent gales and heavy rain and I discovered two very unwelcome facts. The plan was to move on from the stairwell to the decorating of the basement room. That was when I discovered that there is a leak from the roof over the extension into the corner of the room, so bad that it is dripping down the walls. On top of that I found that last winter’s hard frosts had loosened the cement haunching around a now redundant chimney and the recent gales had dislodged chunks of it and water is pouring down the chimney into the boiler cupboard every time it rains. Builders are not interested in either job. The chimney is very high and exposed. Using a ladder it would probably be an E4 or E5 in rock-climbing terms, and my limit is E1, most builders’ rather less. The roof repair is a maintenance not a rebuild job so not worth the hassle for a builder. What has this got to do with stress? Well, for a start it’s down to stresses on the fabric of a building in a cold, damp, windy climate. No building in any climate is free of stresses and strains caused by a combination of age, climate and other natural forces. That’s one of the reasons I would think twice about owning a second home even if I could afford one – there would be responsibility for two lots of maintenance. And in this case there is the stress in knowing that the repair work is going to be down to me. But here’s a strange thing. Sure, the fact that the house is leaking and further damage being caused is stressful. But at what point and under what circumstances does stress become challenge? It’s a long story which I won’t bore you with but yesterday I began to help dismantle the scaffolding erected on next door’s chimney and abandoned when the company went out of business. Never having dismantled scaffolding before, nevermind a structure 30 foot high, that is a challenge: giant Meccano working from the top down with thick metal poles 10 and 20 foot long. It’s stressful in the sense that it’s essential to make sure that you don’t fall off or that the structure doesn’t collapse and take out the power cable to the house. But I put that in the category of ‘challenge’. Which is what keeps me sane in a generally boring world. And the really fun bit is going to be when, having finished dismantling it, I get to mantle it again on my side of the fence to try to repair the haunching on my chimney. So, stress or challenge? I guess it’s all down to attitude of mind. I must try to get a more positive attitude towards Christmas. This entry was posted in Canada, Reflections, Winter. Bookmark the permalink.